The summer months are a great time for parents to create lasting memories with their kids that include Christ-centered activities and adventures, ones that encourage spiritual growth and strengthen their developing faith for years to come. We often took our four daughters to Christian festivals around the country, where we combined a fun getaway with opportunities for spiritual enrichment and growth through inspirational music, speakers, and fellowship. Families can usually stay for a reduced cost at a nearby hotel offering special festival pricing, as well as many festivals offering affordable camping on the grounds. Usually various levels of participation are offered to help with the summer budget, where families can choose to go for one day, several, or the complete festival. One year we included a day stop at the Alive Festival in Mineral City, Ohio. Another time, we traveled with friends for several days to AtlantaFest in Atlanta, Georgia. Held across the nation, there are numerous events to choose from including Creation Festival in Northeast and Northwest USA, and Spirit West Coast in Southern and Northern California, to name a few. A couple years ago, one of our daughters took her four daughters to Noah the Musical in Branson, Missouri, along with taking a behind-the-scenes tour of the production beforehand. Other possible destinations include the Creation Museum in Petersburg, Kentucky, The Great Passion Play in Eureka Springs, Arkansas, and even the Noah’s Ark Rafting in Buena Vista, Colorado, where white water rafting trips are geared towards Christian families and ministries. On the way to the beach or coastline, why not stop off at a less known location, such as an early church in America? We often did this on getaways in Hawaii, where our family visited historical churches begun by missionaries who first came to the islands. One is Maui’s Ka’ahumanu Church built by missionaries in the 1930s and named for the wife of King Kamehameha, who was one of the first island converts to Christianity. Another time enroute to Florida, our family visited Christ Church in St. Simon Island, Georgia, where brothers John and Charles Wesley ministered to the early colonists. The United States is filled with historical sites where early Christians served for the sake of spreading the Gospel. Many local churches offer a Vacation Bible School (VBS) that last a week or two, where kids of all ages can attend and grow in their knowledge of the Lord. Our daughters attended a VBS one summer that concentrated heavily on Scripture memorization and rewarded attendees for their efforts. Another year our own church held a “Superbook Olympics” that met each week and lasted all summer long, where kids participated in fun games and events that focused on learning Scripture. With school out, it’s a great opportunity to gather the kids together for a morning each week for worship, scripture reading, and prayer. And summer is the perfect time to have fun by letting each child play an instrument, lead a song, read scripture, and participate in prayer. 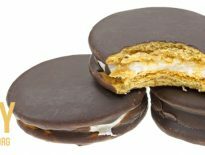 Depending on ages, each child can take a turn in teaching a scripture related craft, or reading a Bible story, creating a new game, or directing a scripture-related home-theater play. 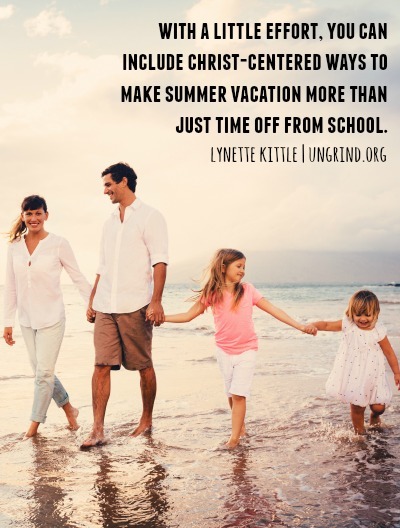 With a little effort, parents can include Christ-centered ways to make summer vacation more than just time off from school.